I saw a guy with a bloody face. 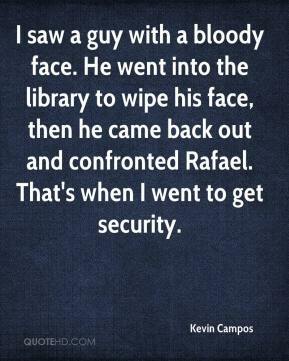 He went into the library to wipe his face, then he came back out and confronted Rafael. That's when I went to get security. 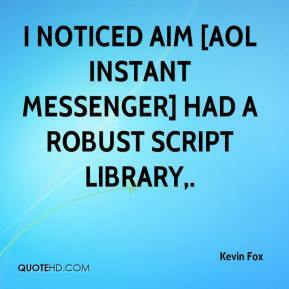 I noticed AIM [AOL Instant Messenger] had a robust script library. 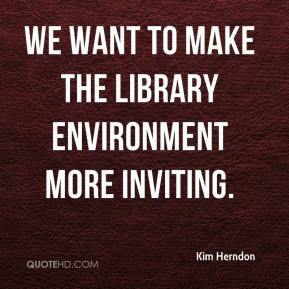 We want to make the library environment more inviting. We use a gentle tone of voice. 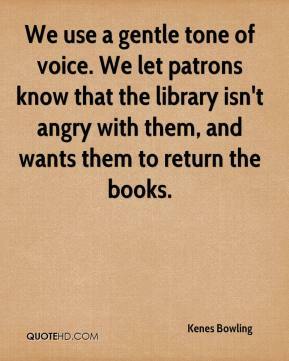 We let patrons know that the library isn't angry with them, and wants them to return the books. 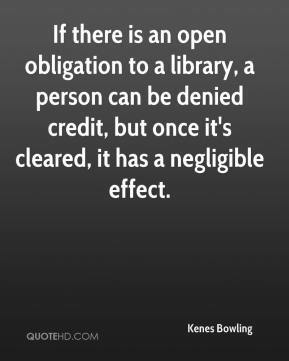 If there is an open obligation to a library, a person can be denied credit, but once it's cleared, it has a negligible effect. The fact is, this is like a public park. 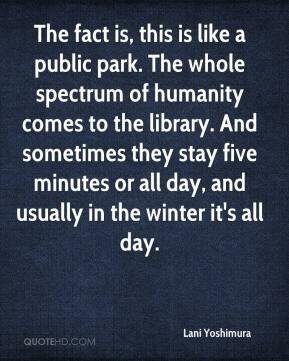 The whole spectrum of humanity comes to the library. And sometimes they stay five minutes or all day, and usually in the winter it's all day. 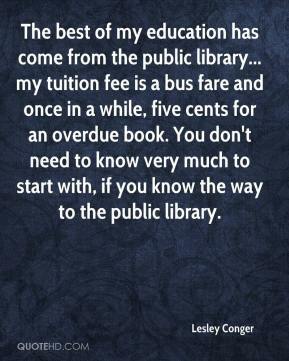 The best of my education has come from the public library... my tuition fee is a bus fare and once in a while, five cents for an overdue book. You don't need to know very much to start with, if you know the way to the public library. 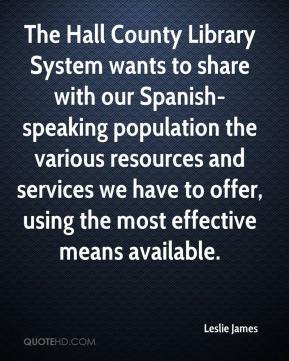 The Hall County Library System wants to share with our Spanish-speaking population the various resources and services we have to offer, using the most effective means available. 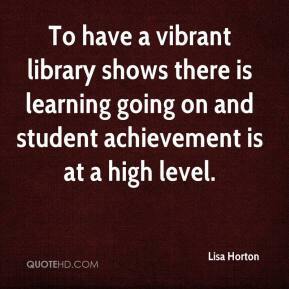 To have a vibrant library shows there is learning going on and student achievement is at a high level. The library board was wrestling with the recent court decision on CIPA (Children's Internet Protection Act) which restricted federal funding for Internet access to libraries that refused to use filtering software. 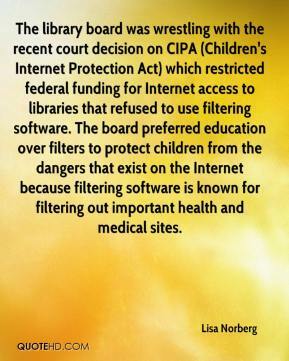 The board preferred education over filters to protect children from the dangers that exist on the Internet because filtering software is known for filtering out important health and medical sites. 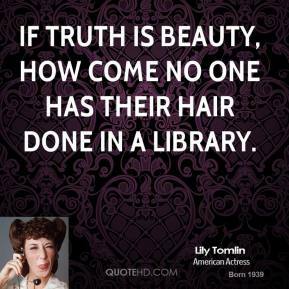 If truth is beauty, how come no one has their hair done in a library. If they come into the library, they're reading. 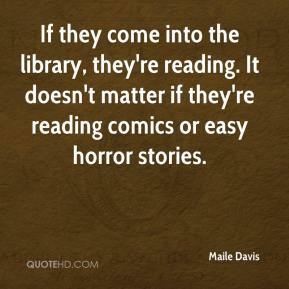 It doesn't matter if they're reading comics or easy horror stories. My alma mater was books, a good library - I could spend the rest of my life reading, just satisfying my curiosity. 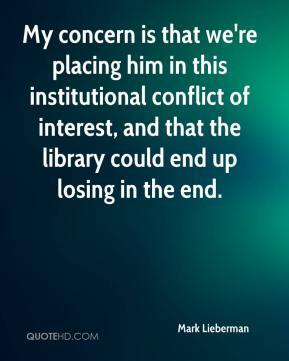 My concern is that we're placing him in this institutional conflict of interest, and that the library could end up losing in the end. 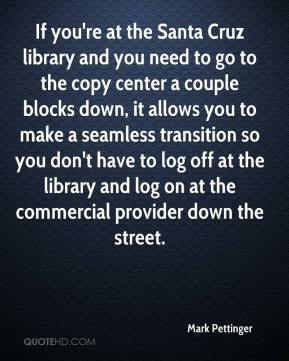 If you're at the Santa Cruz library and you need to go to the copy center a couple blocks down, it allows you to make a seamless transition so you don't have to log off at the library and log on at the commercial provider down the street. When I step into this library, I cannot understand why I ever step out of it. 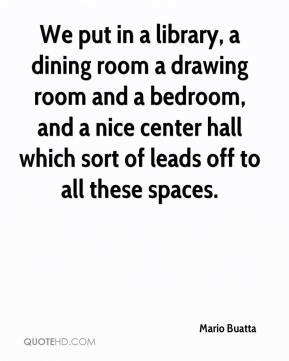 We put in a library, a dining room a drawing room and a bedroom, and a nice center hall which sort of leads off to all these spaces. 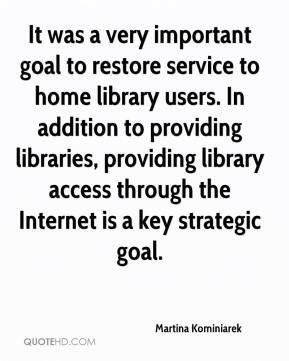 It was a very important goal to restore service to home library users. In addition to providing libraries, providing library access through the Internet is a key strategic goal. At one library that got that resource, 80 percent of the titles were checked out in 48 hours. Those should be successful. 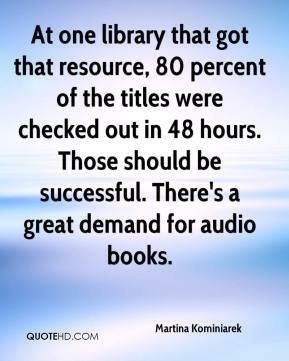 There's a great demand for audio books. I don't know why people aren't using the library frequently. Maybe it's the pull of the new bookstores, maybe it's something else. 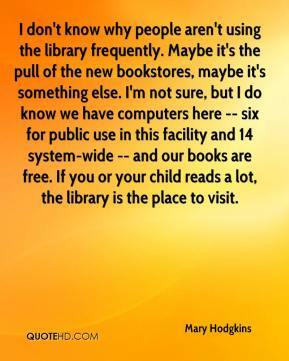 I'm not sure, but I do know we have computers here -- six for public use in this facility and 14 system-wide -- and our books are free. If you or your child reads a lot, the library is the place to visit. 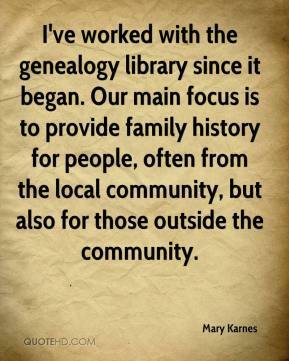 I've worked with the genealogy library since it began. Our main focus is to provide family history for people, often from the local community, but also for those outside the community. 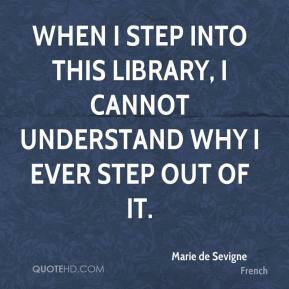 What she brings to our library is an atmosphere of kids wanting to be in the library, ... 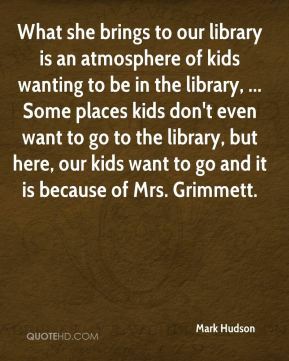 Some places kids don't even want to go to the library, but here, our kids want to go and it is because of Mrs. Grimmett. 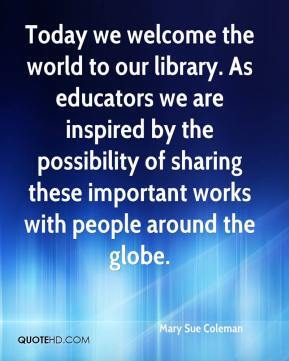 Today we welcome the world to our library. As educators we are inspired by the possibility of sharing these important works with people around the globe. 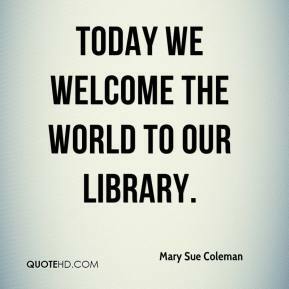 Today we welcome the world to our library. We track library books better than we do sexual predators.